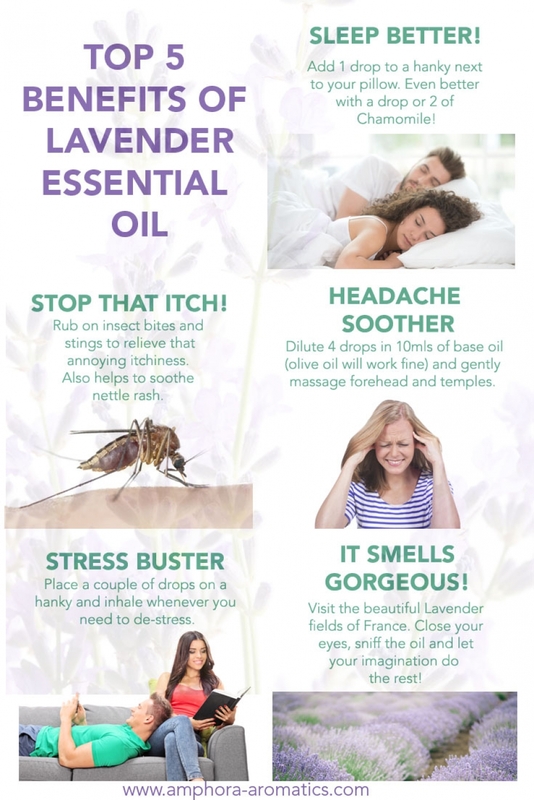 Top 5 Benefits of Lavender Essential Oil - Amphora Aromatics Ltd – Supplier of pure essential oils and aromatherapy Products. 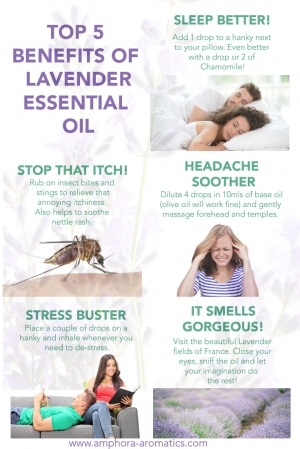 Lavender is the world's most popular essential oil. This is partly because it's so versatile. Here are the top 5 benefits of this beautiful natural product!